WOW! This short month was jam-packed with award nominations, NEW listings, remodeling our office, and many homes going UNDER CONTRACT within days of being listed! 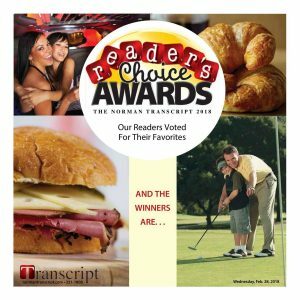 We received TWO nominations for Norman Transcript Reader’s Choice this year. Bryan Waldenville for Best Realtor AND Zan Waldenville for Best Boss!!! Thank you! We sincerely appreciate being acknowledged and value the connections we make in the Norman community.